The Bel Air Downtown Alliance staff works under the direction of the organization’s Board of Directors. The mission of the staff is to mobilize stakeholders to invest in Bel Air’s neighborhoods, economy, and quality of life. Christine McPherson manages the day-to-day operations and supports the four pillars of the Bel Air Downtown Alliance. She brings innovation, creativity and dedication to the Director position. Being a lifelong resident of the Bel Air, Christine has had the privilege of watching the town transform and flourish over the last decade as a result of initiatives taken by the Alliance. An experienced community leader, Christine was the former Community Development Director at LASOS, where her initiative, drive, and outgoing personality led her to great success. Ms. McPherson brings depth to nonprofit management as a graduate of the Harford Leadership Academy, Harford Grant Academy, and the Nonprofit Leadership Institute of Montgomery College. 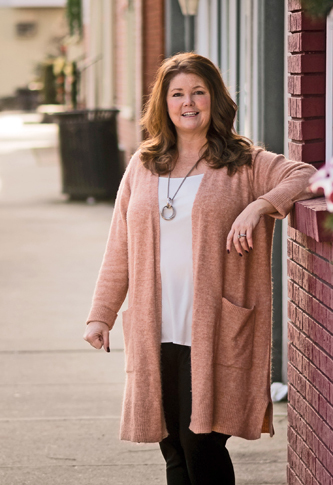 Christine is committed to the vitality of downtown businesses and the vibrancy of the historic town as it progresses into the future; she takes pride in being a member of this thriving community. The focus of economic development for the town of Bel Air is at the forefront of her mission. Christine enjoys traveling, culture, a great laugh and quality time with friends and family. Jenny Falcone creates and oversees the implementation of a strategic approach to fundraising for the Bel Air Downtown Alliance. Under the direction of the Executive Director, she will help coordinate and execute special events for the town of Bel Air. Jenny was first introduced to the Alliance when she helped to create The Belle Aire Market, a seasonal vintage market held in Downtown Bel Air from May through October. Jenny is a Bel Air native who graduated from Bel Air High School and then went on to earn her bachelor’s degree in Psychology from Eastern University in St. Davids, PA. She currently lives in Pylesville with her husband, Jonathan and their twins. She also enjoys her antique business, running, sewing, playing field hockey and spending time with her family and friends. Jennifer Anglada completes the team by providing administrative support. Under the direction of the Executive Director, she coordinates and executes special events and projects for the Bel Air Downtown Alliance. With her previous corporate experience, and leadership through volunteerism, Jennifer brings attention to detail, with an enthusiasm for promoting downtown Bel Air. After moving to Bel Air in 1999, Jennifer became involved in everything she could in order to support the community in which her three children would be raised. 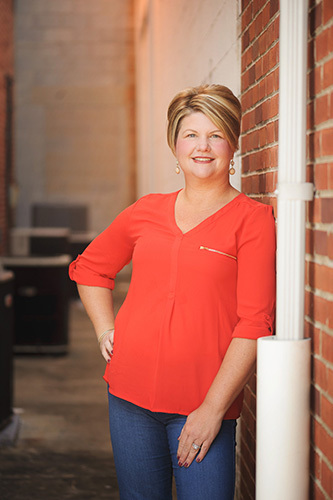 With a “roll up your sleeves” attitude she became a successful local business owner, a dedicated youth program director and an active board member for the Bel Air Recreation Committee. Jennifer is an artist at heart and enjoys sewing, furniture restoration, music and theater.